The light sensitive tissue of the human eye, the retina, is lined by roughly 130 Million photoreceptor cells. 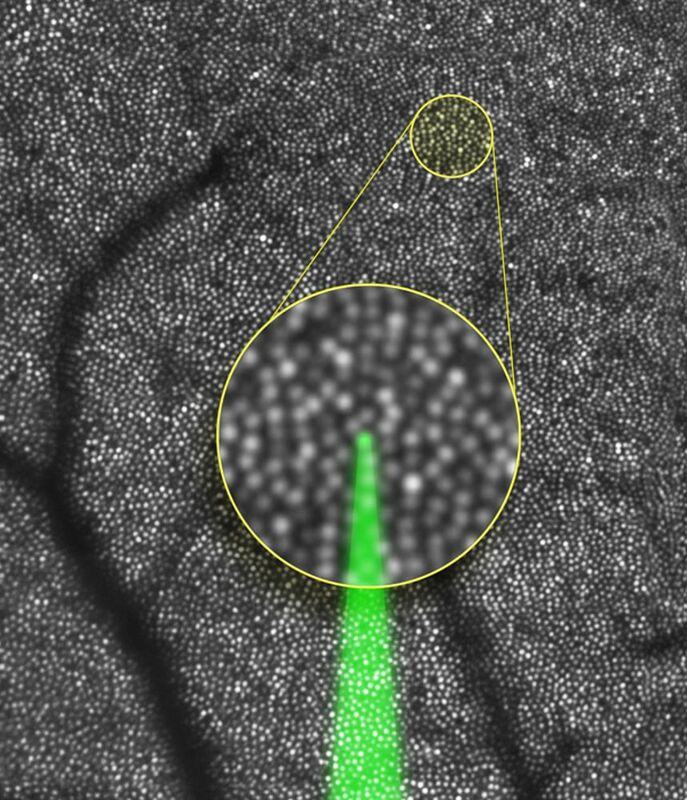 Scientists at the University of Bonn, University of California, Berkeley and University of Alabama at Birmingham were now able to target and stimulate individual photoreceptors – cell by cell – for the first time. 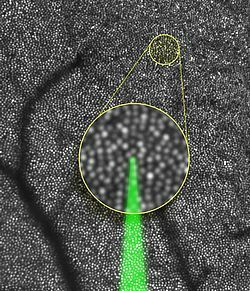 The ground-breaking research promises new insights into how the brain transforms retinal images to visual perception. Also, single photoreceptor function and dysfunction in retinal disease and possible pharmaceutical intervention can now be studied on single cell level. The work is published in the April 16th issue of “The Journal of Neuroscience”. Given the new method, expectations for advances in research of eye diseases are high. “Up to now, we were limited to merely observing how retinal structure changes in the progress of a retinal disease”, explains Dr. Harmening. “Now we can take that next step and test cellular function directly, for example by examining whether visual function losses occur before structural changes are observable.” In the past, clinical studies of retinal function had to fully rely on preparations of deceased patients or animal models. Now, possible effects of new medication can be examined more closely and more effectively, since non-invasive experiments can be carried out in the diseased eye directly.